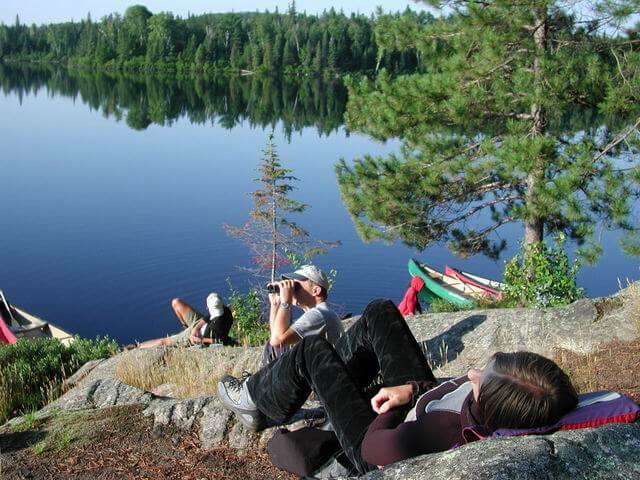 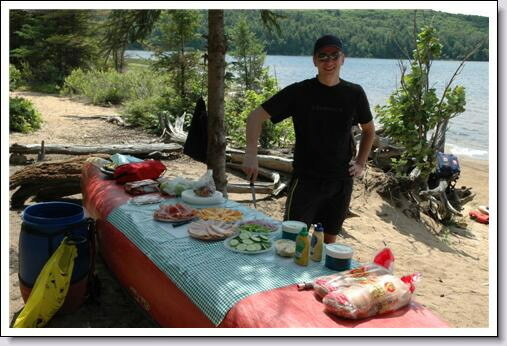 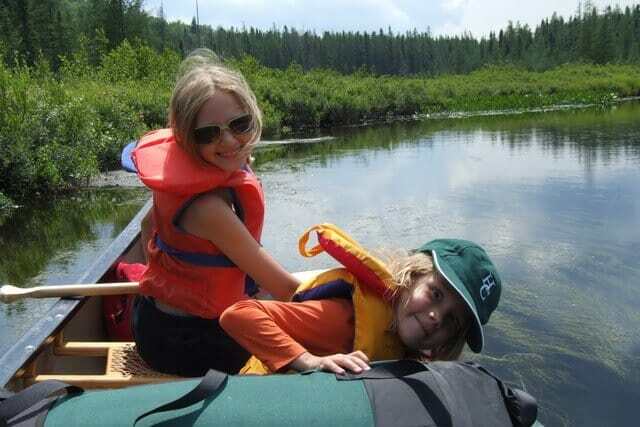 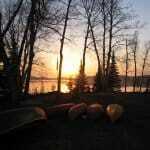 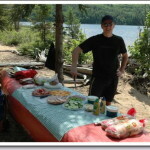 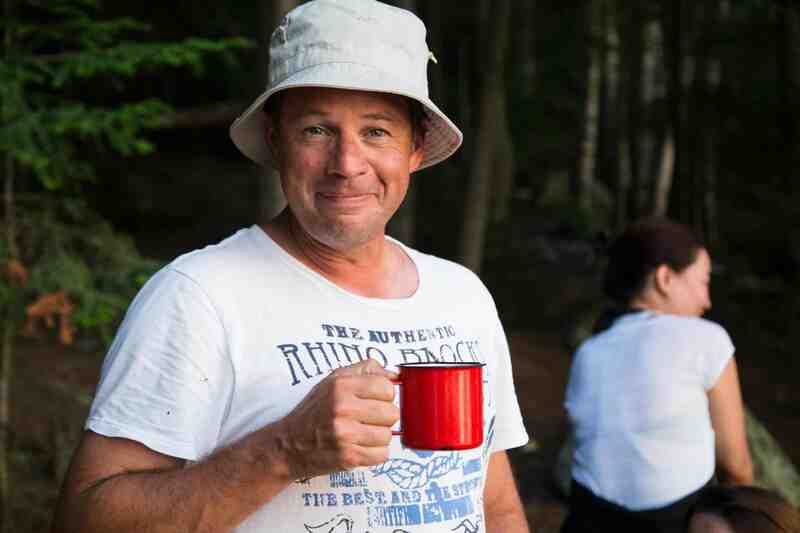 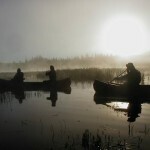 Experience the best of Algonquin Park’s backcountry with all the comforts and luxury service. 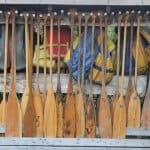 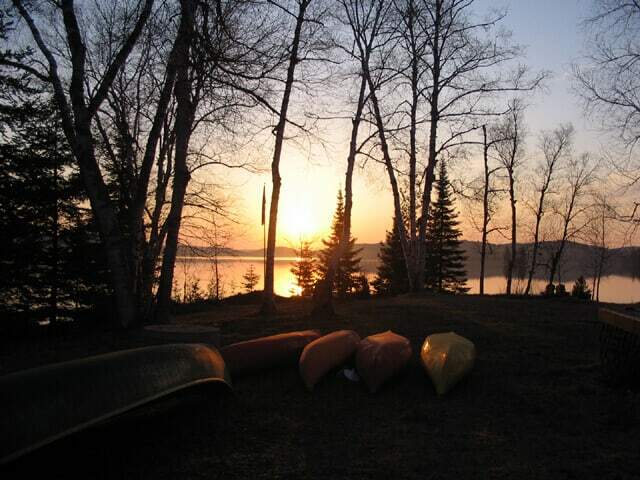 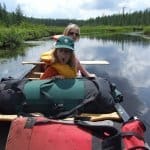 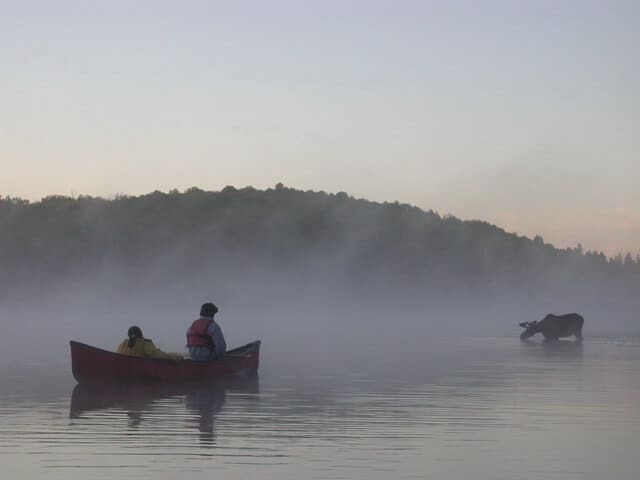 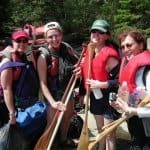 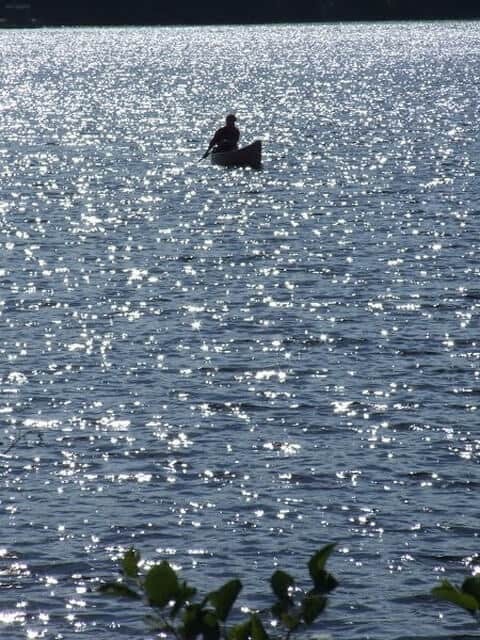 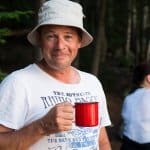 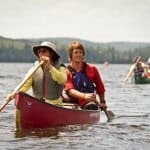 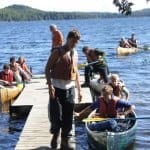 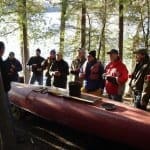 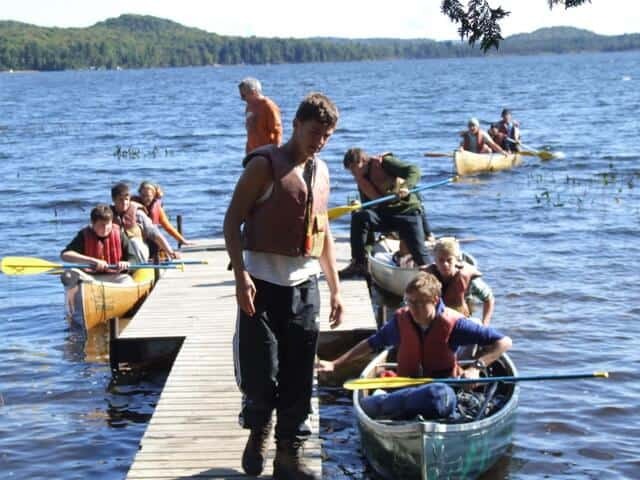 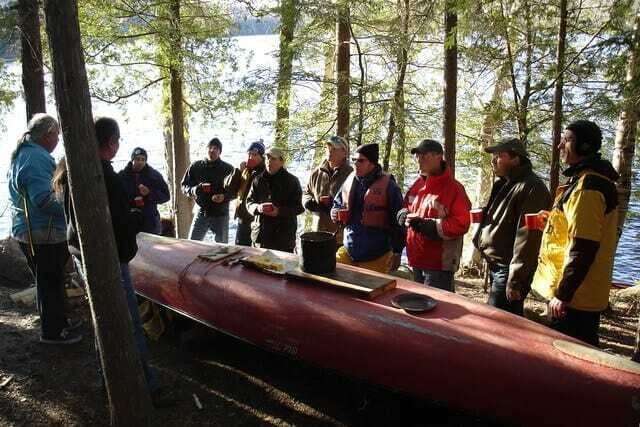 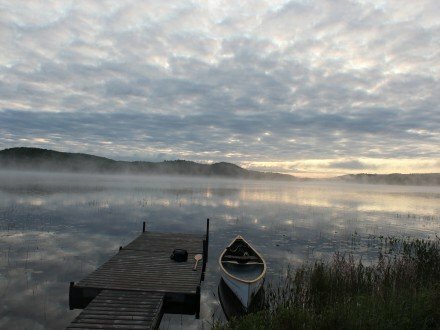 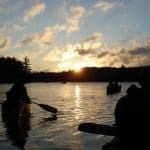 Canoe with a professional guide to your perfect camp. 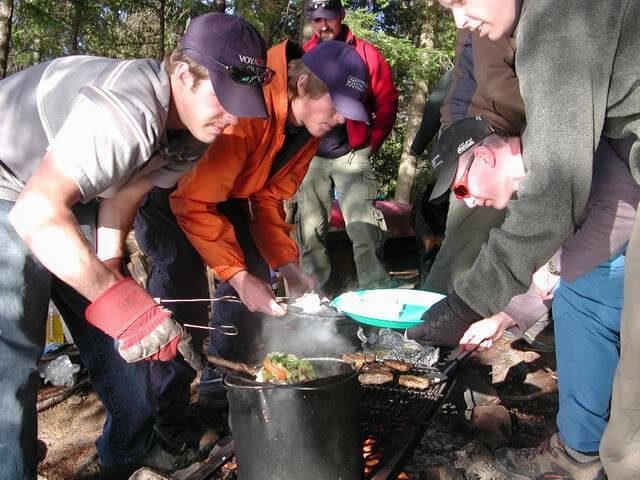 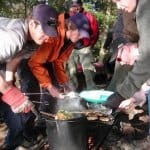 Feast on wild trout prepared over a fire and washed down with Ontario’s best chardonnay. 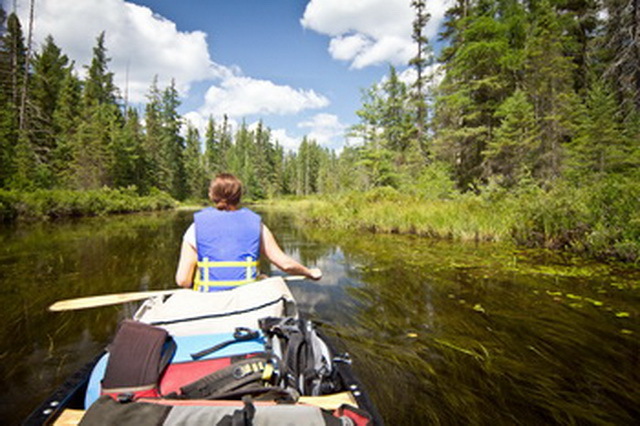 Paddle in search of moose; dip in the clean fresh water. 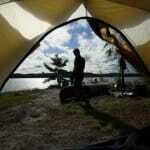 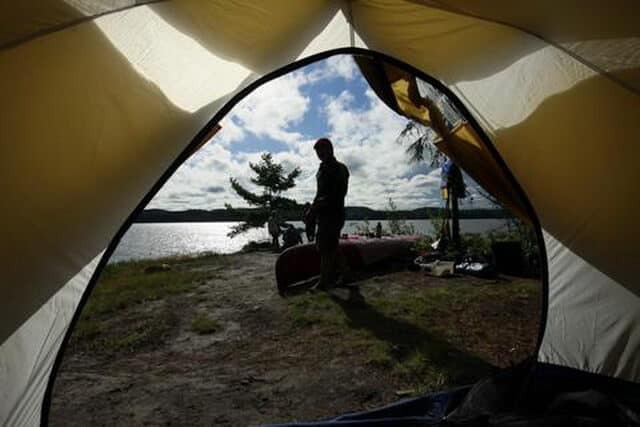 Sleep in your private tent with comfortable cot, mattress and pillow. 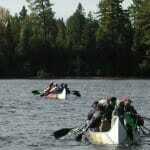 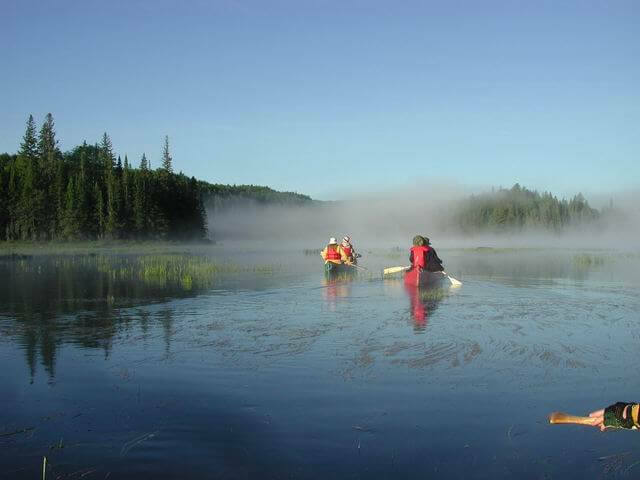 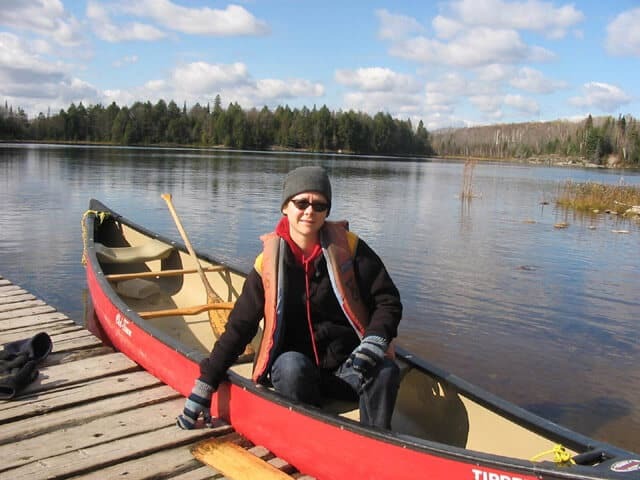 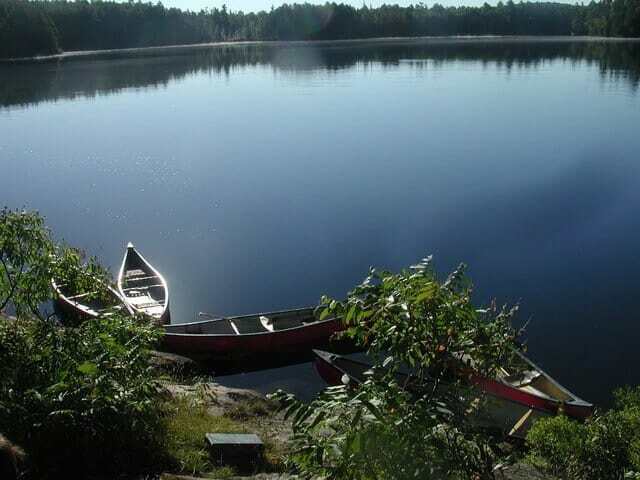 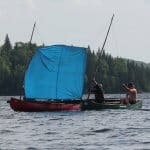 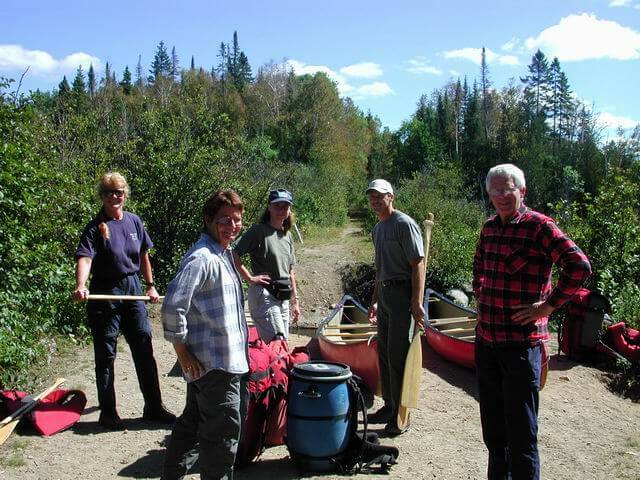 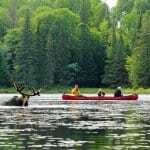 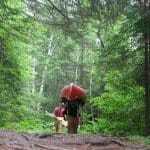 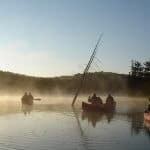 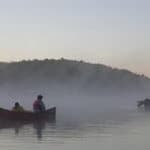 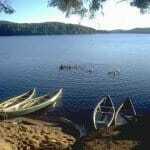 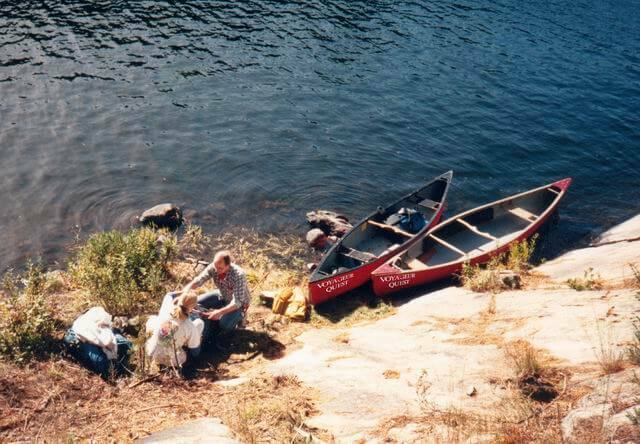 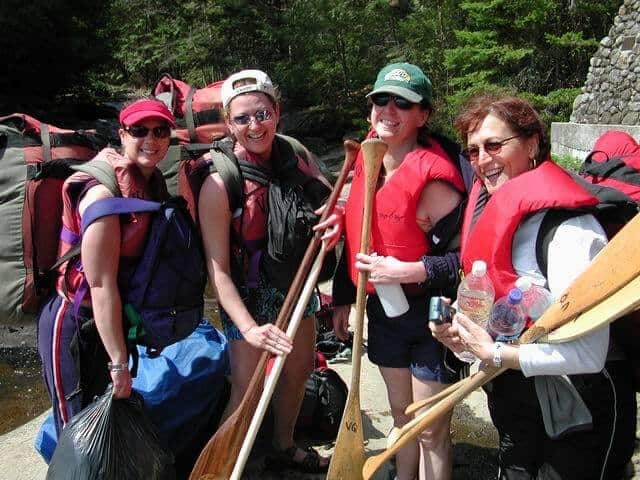 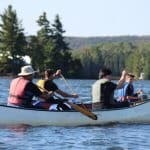 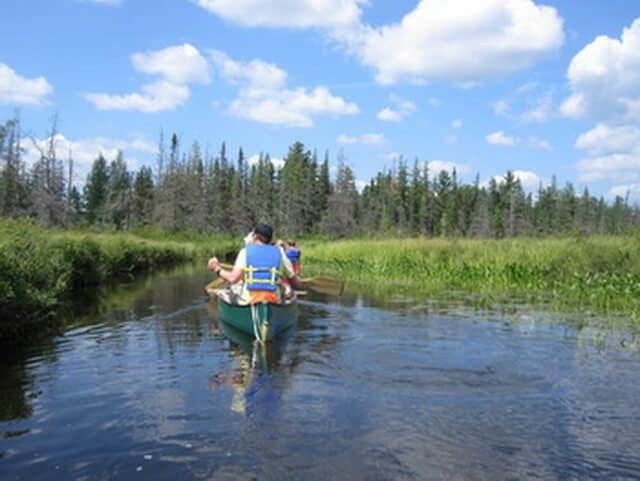 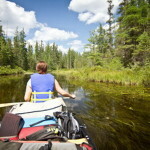 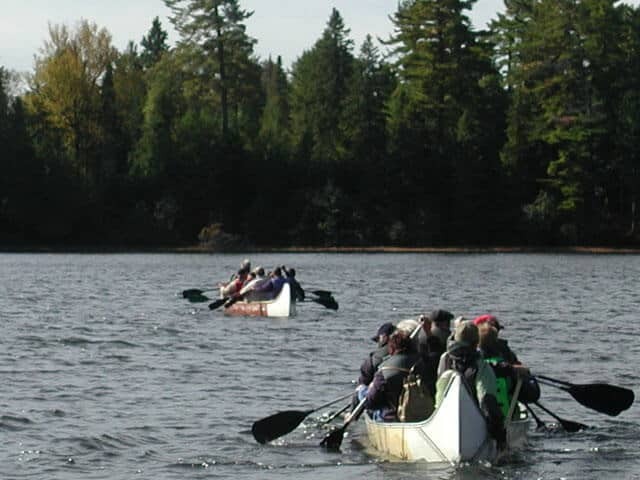 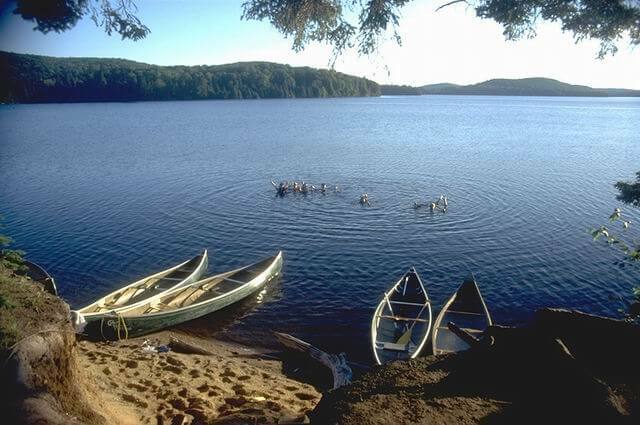 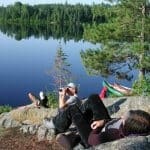 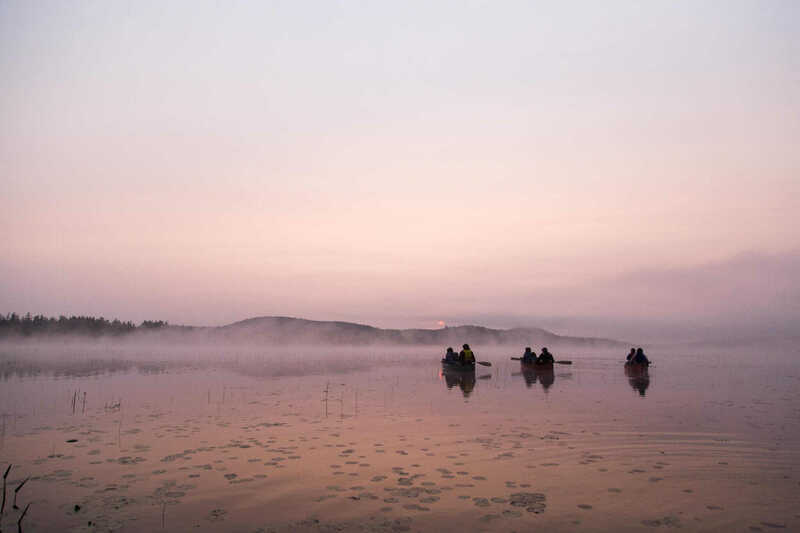 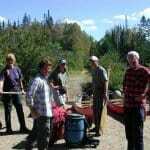 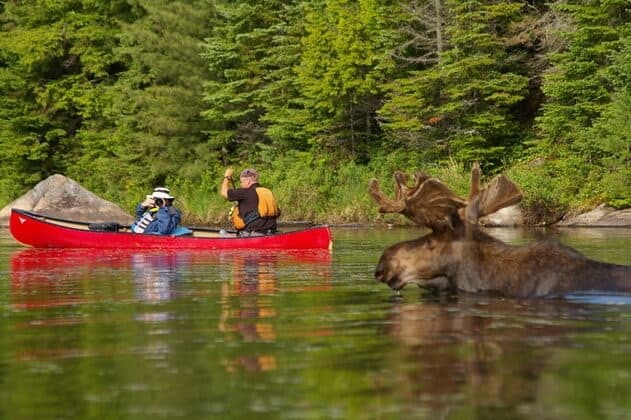 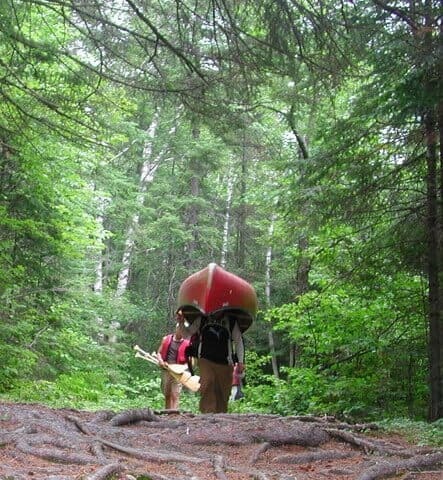 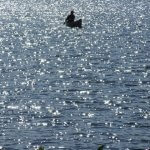 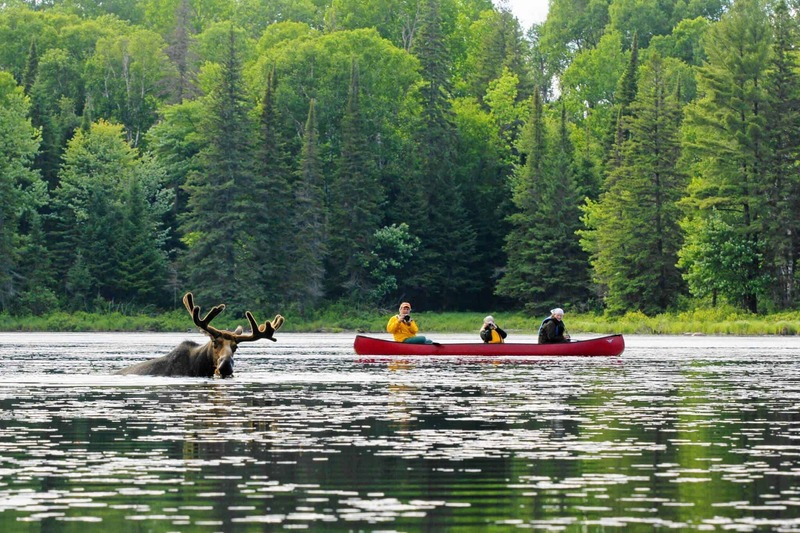 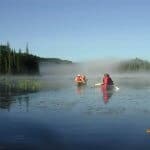 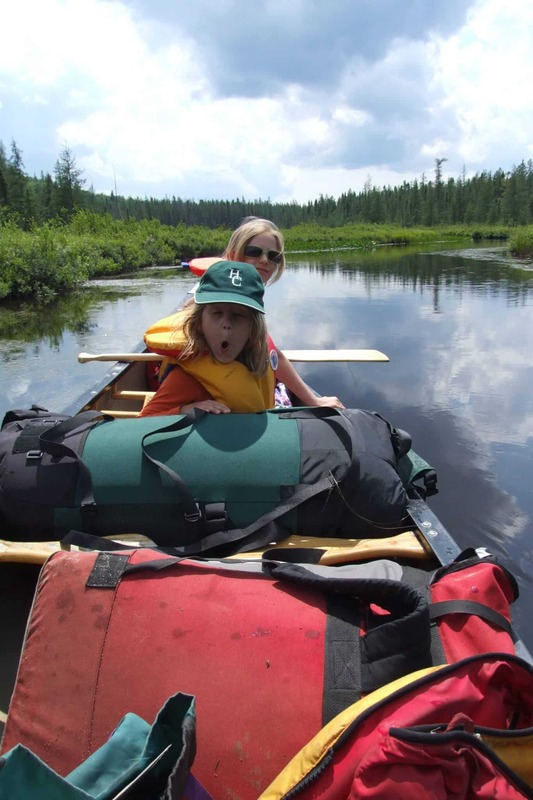 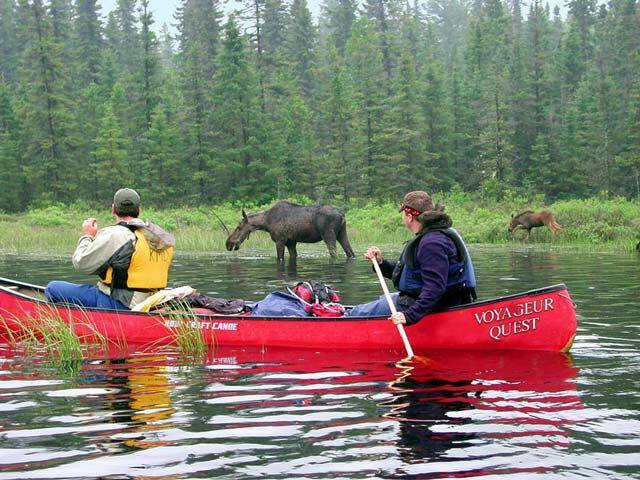 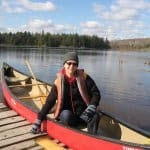 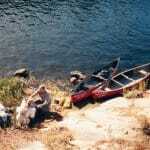 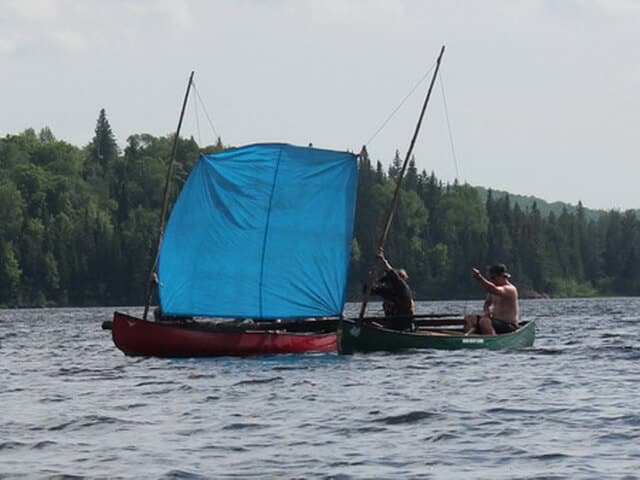 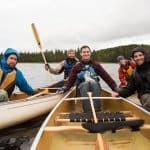 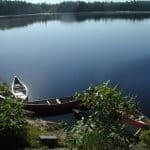 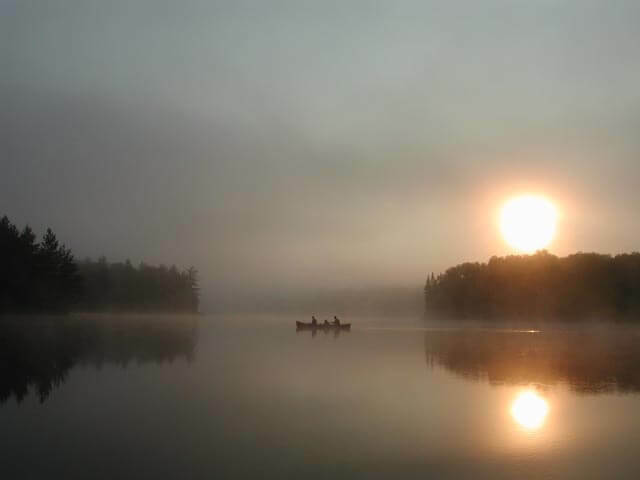 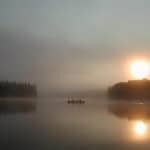 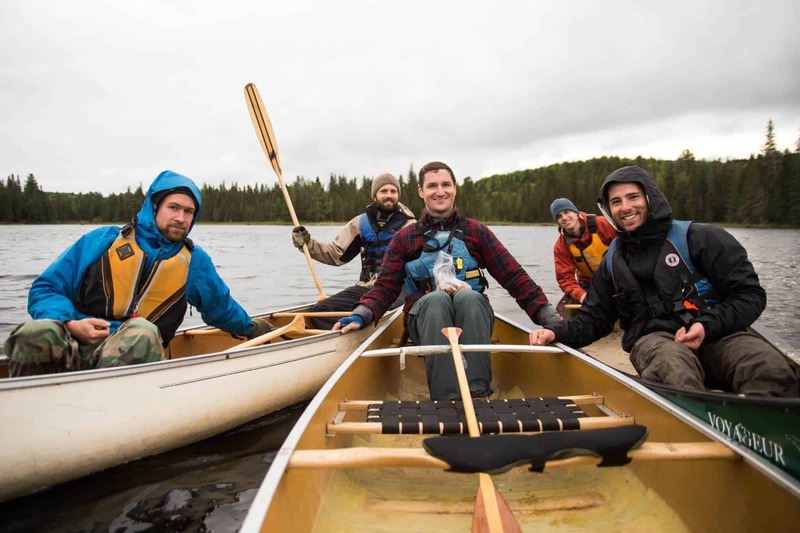 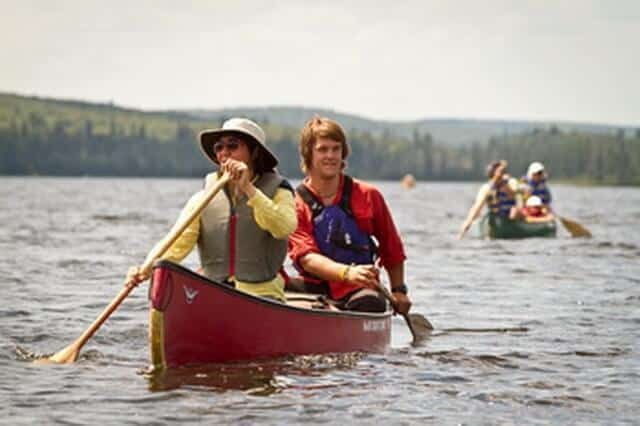 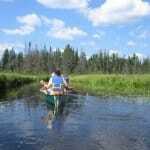 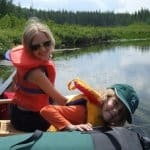 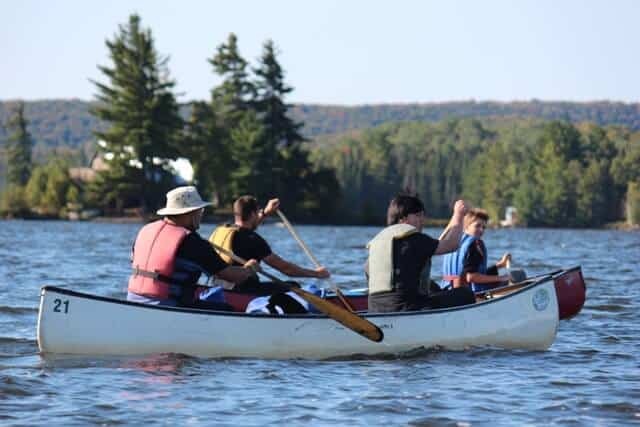 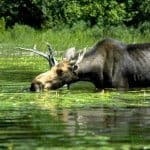 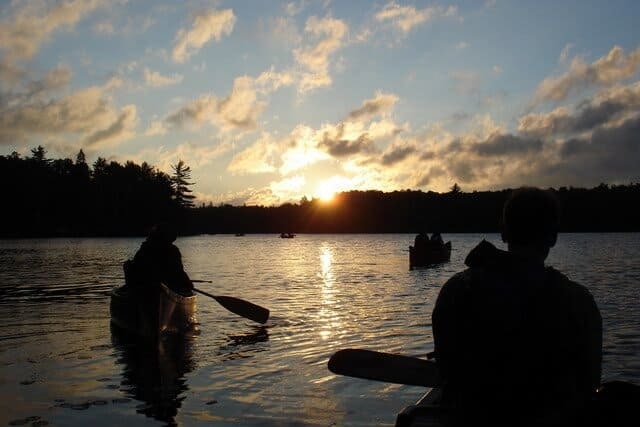 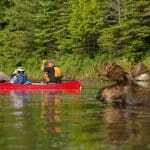 These backcountry luxury experiences offer a chance to experience areas of Algonquin Park accessible only by canoe. 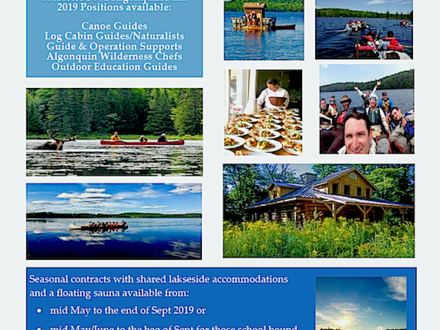 No experience or skills required. 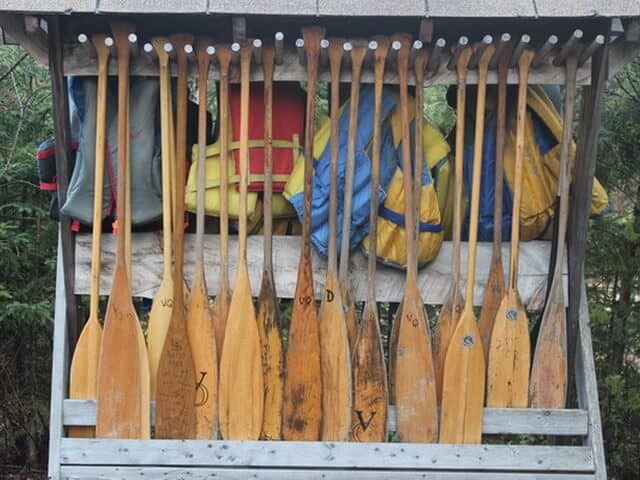 Just bring your appetite for adventure and fine food and wine. 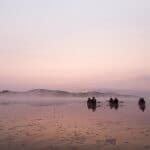 The pace is relaxed, which makes this safari suitable for all abilities and experience levels. 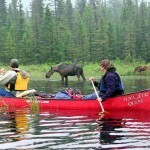 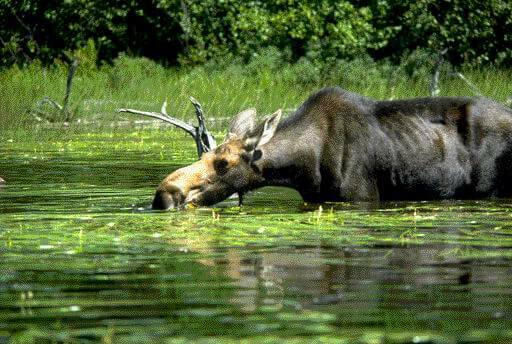 The wilderness is spectacular and if we are lucky, we might catch sight of a large moose or hear a pack of wolves. 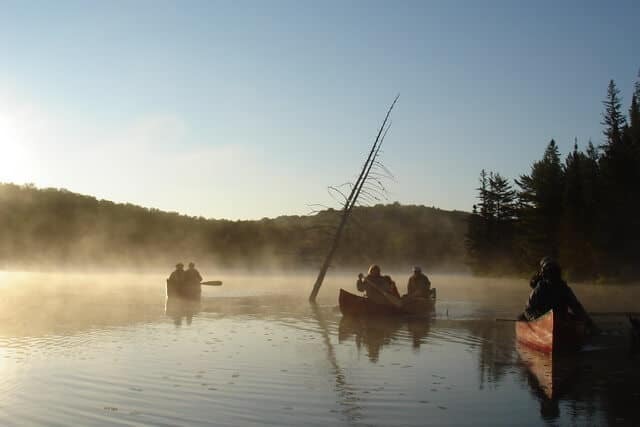 This 2-night adventure begins with a private dinner at the Broken Paddle Patio prepared by Chef Nikoline, followed by accommodation in a private lakeside cabin.